Sony Ericsson has launched new smartphones in India under its Xperia brand named Xperia Ray. Xperia Ray feature the latest Android 2.3 operating system along with a 1 GHz processor. With a 3.3″ screen and running the latest Android platform for smartphones and Reality Display with Mobile BRAVIA Engine, a 8.1mp camera with Exmor R for mobile and HD video functionality. At only 9.4mm thin, Xperia ray incorporates market leading designs. Xperia Ray incorporates a front facing camera and a scratch resistant screen with excellent resolution and brightness and integrated touch keys. Sony Ericsson’s unique integration of Facebook inside Xperia delivers a unique consumer experience for greater social interaction. Sony Ericsson Xperia Ray will be available in selected markets starting from the second week of September. It will be available in 4 color versions: Black, Gold, white and Pink. 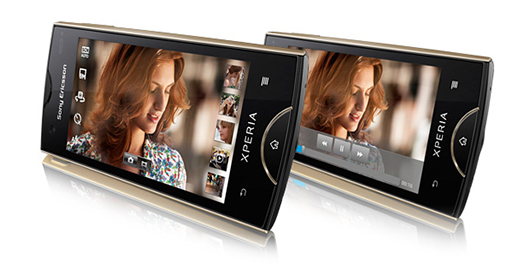 The price of Sony Ericsson Xperia Ray cell phone will be announced soon and expected to be between Rs 17,000-Rs 20,000. Is the Samsung Galaxy S IV the New iPhone 5 Killer?